As a professional with many years of experience, I believe that the essential foundation for success comes through hard work, dedication and a passionate commitment to first class customer service. I am a full time Real Estate Broker who has a genuine desire to exceed the expectation of my clients. I spend the time to continue to educate myself on the ever changing market in order to stay ahead of the market trends. I am professionally trained to skillfully negotiate with the highest ethical standards, which enable me to bring my clients the results they desire. Whether you are buying or selling a home, it is my purpose to be a leader in the Real Estate industry with the upmost standard and integrity. As your Real Estate professional, I continually stay focused on exceeding the expectations of the needs of my clients by not only negotiating your contract, but also to be sensitive to the needs and wants of my clients as they are making life changing decisions. I was born and raised in Washington and I am currently the Vice President of Cierra Sisters; a non-profit organization created to educate and bring awareness to the community about breast cancer. I have been a Real Estate professional since 2005. I have two beautiful children who keep me busy, and I love to sing and write music. P.S. 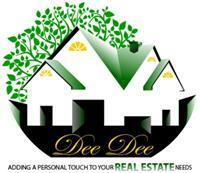 For your Real Estate market updates follow me on Facebook, log into my website, or you can find me on YouTube under “Real Estate Market updates by Dee Dee Shirkey”. I look forward to exceeding your expectation.